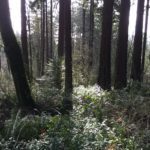 I cherish weekly visits to the Hoyt Arboretum to wander trails, to feel the air. To meet the colors, shapes and textures of nature as she unfolds season to season. 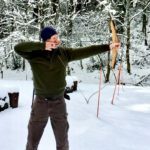 Along one of the trails is an archery range and over some years now I bring my bow, assemble it there and invite some arrows to fly home to one of the targets. 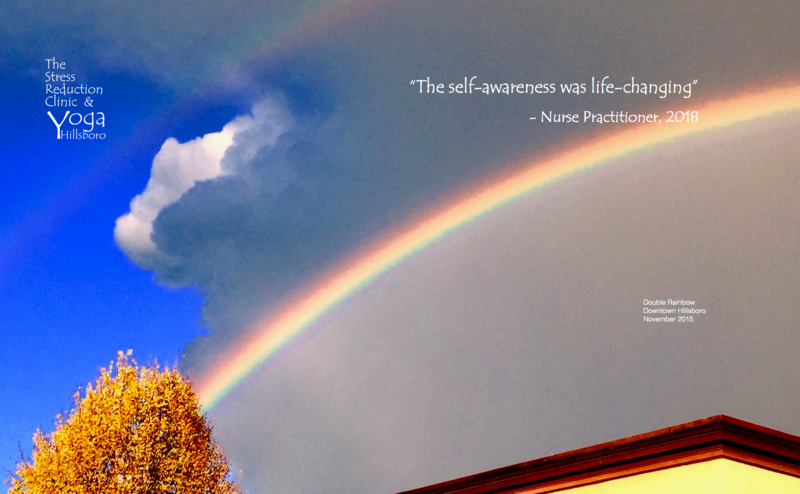 It’s a meditative practice, something akin to what I found one day in the sweet old book Zen and the Art of Archery. 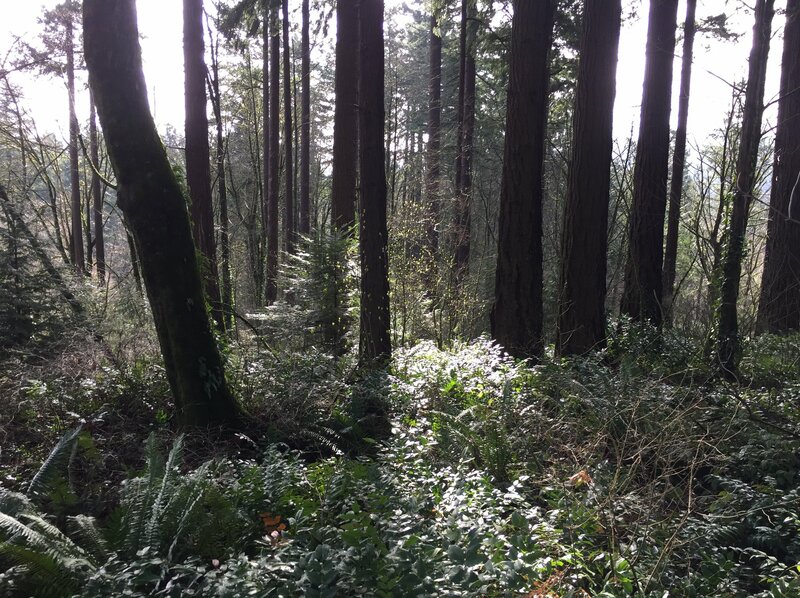 Last week the trails were alive with the hints of spring; buds, light green sprouts, birds chanting, warm sun flowing through the shadows of stately trees. Expectations of blossoms and more warmth ahead brought a big smile. 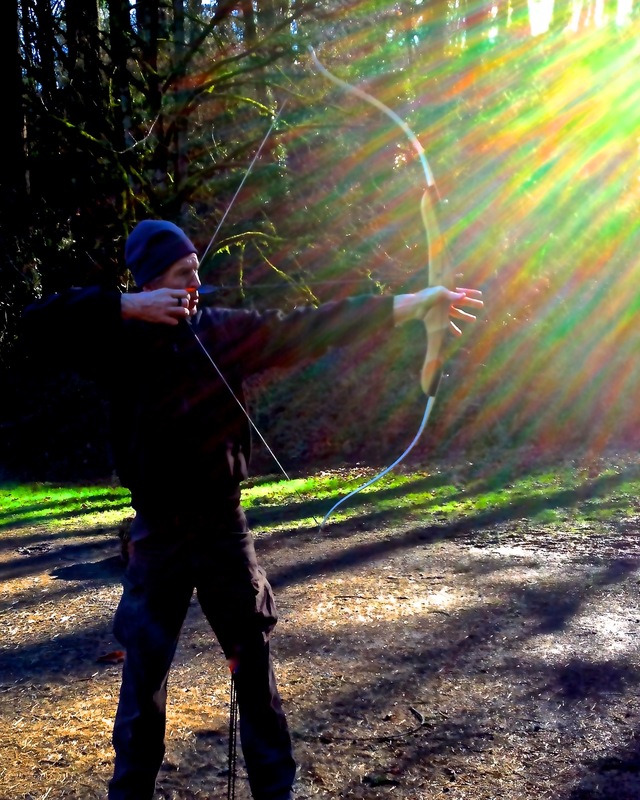 What a joy it was to stand, let fly some arrows and be bathed with light and the expectations of spring weather in the weeks ahead. Mother nature had other ideas! Yesterday, just a week after that glimmer of spring, winter’s receding edges offered her cold breath and a blanket of snow for those trails and the creatures of the arboretum. 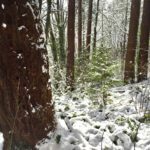 As I arrived at the Arboretum I was unprepared for the depth of snow and the forbidding temperature. Oh my! My mind raced to hesitation; too much snow, no proper boots for snow, too cold for this, and a few dozen other thoughts spawned by the expectations of last week. Setting all that aside I decided to lean forward and just explore a little in the direction of the range. I found a few trails clear, then more trails where others had tread, and then paths with virgin snow inviting a pilgrim toward them. 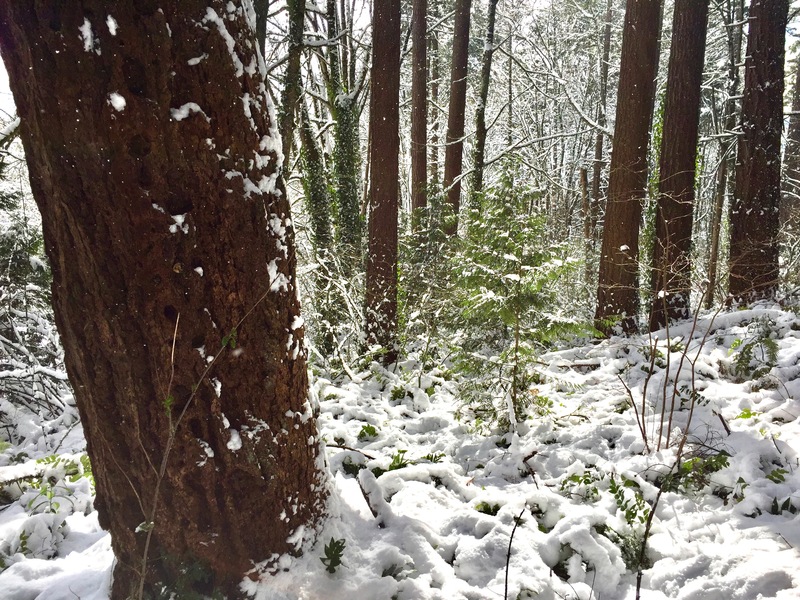 Soon I was flowing toward the archery range smiling at the unlikely; joy embodied as the trails shared the cold, the sounds of snow, treading a joyful clip, and then the sun shimmering through the trees. 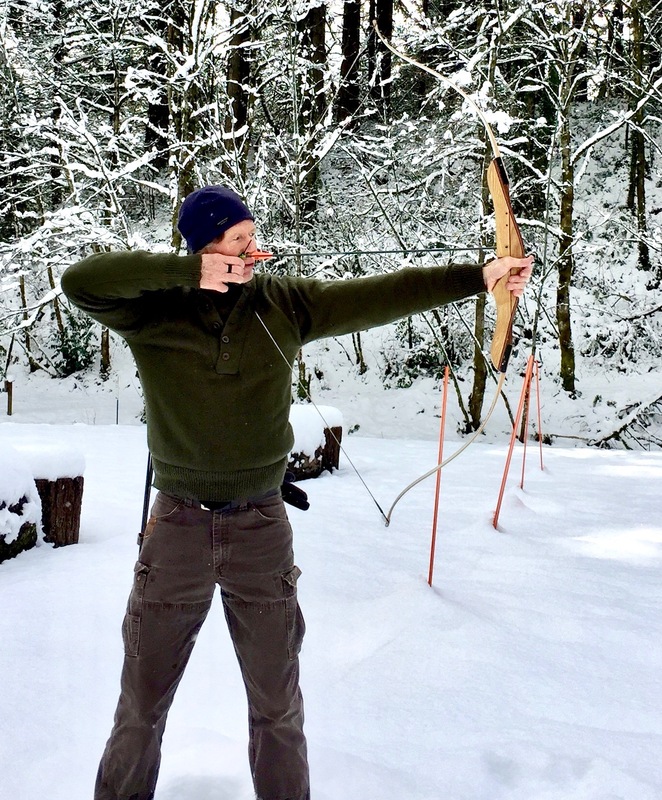 At the range, with fully 10 inches of snow on virgin ground I again hesitated and now in the spirit of the past hour of exploration I assembled my bow and met the fresh, cold air. I found my breath in that air. I felt the motions of the bow and witnessed the path of the arrows. A lovely couple had strode the path nearby and I asked if they would take a picture so I could share this with you. The path of expectations of spring and warmth, dashed by a forbidding storm that became a source of joy as I breathed life into the unlikely moments of leaning into the heart of what was rather than what should be. As I walked the trails in return to the commuter train station laughter echoed through the forest. Soon I found a lovely group of children finding their way down a hillside on improvised sleds: Joy, laughter, thrill, all shared. All within that unexpected snowstorm.